A reader recently asked what he should do about luggage. Are there any sustainable suitcases? I did a little bit of research, and came up with a few bags that seemed to fit the bill, and run the spectrum from affordable to expensive. 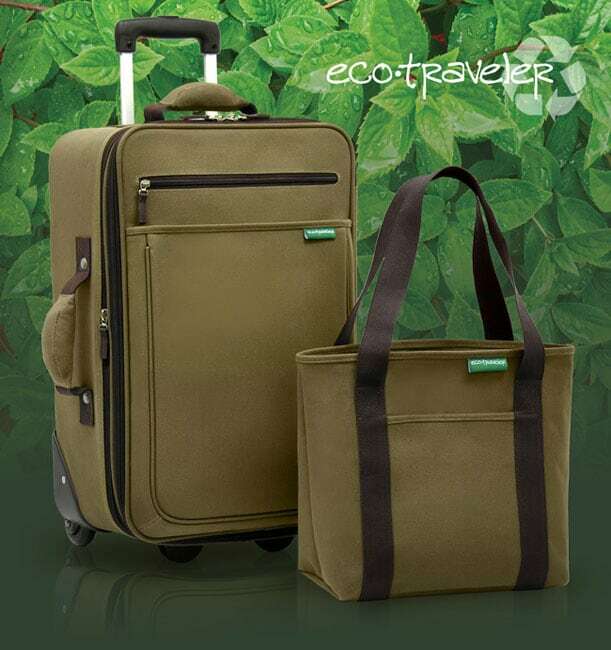 Keep in mind that one of the most sustainable things about luggage is whether it will last a lifetime. Buying poorly-constructed suitcases requires frequent replacements, and thus more garbage and more resources needed to make more. In addition, never forget the almighty favor; most people don't travel at the same time as their friends - so ask if you can borrow! The first stop on this search is the most eco-friendly one: used or vintage luggage. 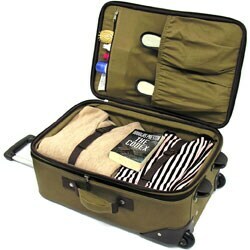 Ebay, Craigslist, thrift stores and yard sales are sometimes the best places to get luggage. It's often quite affordable, too. For example, if you like the aesthetic of an old, beat-up hard-shell or vinyl bag, you may want to go this route. The images above are from Ebay of a burgundy vinyl, and a black hard-shell with canvas straps. These have already proven their longevity, and they have a lot of character. They even look nice when you leave them out on display.